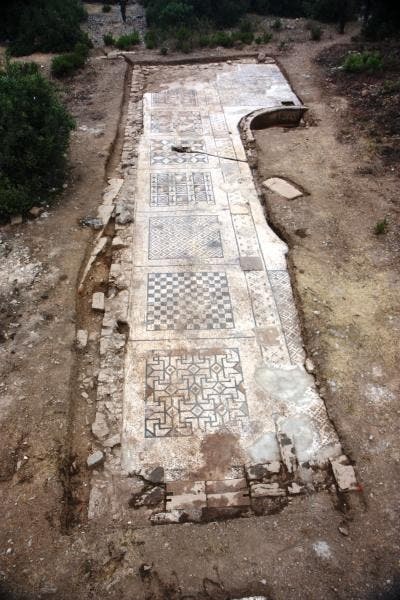 A team of archaeologists led by Professor Michael Hoff, from the University of Nebraska-Lincoln has unearthed a Roman mosaic measuring 148 square meters. Judging by its quality and appearance, researchers believe it to be the largest Roman mosaic of its type ever found. “Its size signals, in no small part, that the outward signs of the empire were very strong in this far-flung area…We were surprised to have found a mosaic of such size and of such caliber in this region – it’s an area that had usually been off the radar screens of most ancient historians and archeologists, and suddenly this mosaic comes into view and causes us to change our focus about what we think (the region) was like in antiquity.”, said Hoff. Indeed, the team is starting to show the area was much more Romanized than previously believed, the nature of the mosaic shattering previous beliefs of the city’s ancient history.